Eternal fire, diabolical torment, graphic mortification of the flesh and a smoke-filled underworld pierced by the despairing shrieks of the damned: the idea of Hell has for thousands of years exerted both fascination and terror. And despite its horrors, it is hard to resist its almost seductive allure. Whether expressed in medieval Doom paintings and grim warnings of everlasting suffering, or in modern psychological interpretations, the belief in a ghastly terminus for the souls of the cursed has proved remarkably resilient and persistent. It has far outlived specific portrayals by artists, writers and theologians, and has seemed far more resonant an idea than either a heavenly Paradise or New Jerusalem. Why has hell retained this extraordinary potency, even as western society has become more sceptical and secular? 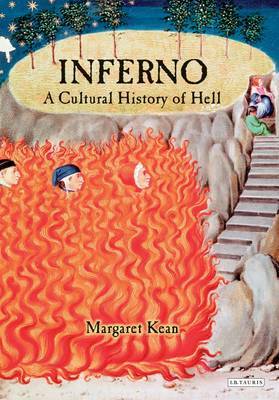 In her rich and wide-ranging book, Margaret Kean tells the history of hell through literature, philosophy, art, music and film. She shows that affirmations of human freedom and the value of the individual have remained closely tied to the notion of hell even as contemporary narratives have replaced a medieval mindset.From Dante and Bosch to Blake and Milton, and from Joseph Conrad and Primo Levi to Angel Heart, Alien 3 and Event Horizon, Kean vividly explores hell as both secular confessional and divinely ordained penal colony - as metaphor for alienation and infernal locale for one's never-ending worst nightmare.